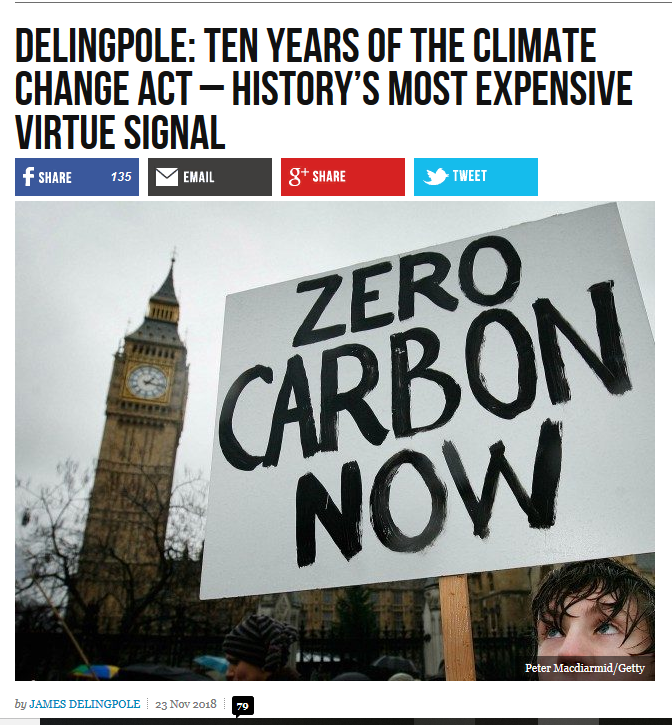 Apart from this glorified virtue signalling by FoE and the labourites costing UK industry £ trillions it also costs the public vast amounts in raised power price, green taxes on everything to do with transport and it is also destroying the wildlife especially birds. There appears to be no way out of this disaster because all the politicians all subscribe to the UN one world government utopia ‘vision’, maybe we need a modern Cromwell to get the country back on track. Well now, that sign was probably written with carbon black… And as for the bearer thereof, he should relinquish his water to the environment, as well as his carbon, thereby leading the way.